Arena Space virtual reality parks were born out of a dream to build Russia’s own Disneyland where complete immersion into a fairytale world would be possible. The project is about a high-tech immersion. At the start, in 2015, few people believed in its success, while virtual reality (VR) and augmented reality (AR) technology aroused a lot of skepticism. Today it is a multi-billion dollar market in which the Russian company plays almost on equal footing with global leaders. Before launching his own project, Vasily Ryzhonkov, the founder of the Arena company, worked for the Skolkovo Foundation where he headed the mobile technology center. Back then, AR and VR were already in his area of ​​interest, and it soon became clear that the future is in these new realities. 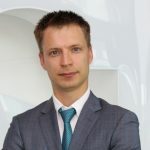 Ryzhonkov spent 2015 in market research: a team of analysts studied global trends and the relevance of startups in the industry in two-three-five years, and decided it was time to act. When Arena entered the market, there were only two novice players at the global level. The Swiss company Artanim was at the same “maturity level” (now Dreamscape Immersive, in which Steven Spielberg invested). Other than that, there were several startups with huge marketing budgets, such as The Void. In Russia at that time, according to Vasily Ryzhonkov, there were only small projects developing gaming and advertising content and some mobile VR. While Russian players continued to make cardboard helmets with smartphones in them for broadcasting “virtual” commercials, the world came up with serious technology solutions. That is why Ryzhonkov went on a tour of the countries where the key players of the new market were based, to study their experience. At the end of the trip, he had an understanding how even faster and better products and solutions could be made at home, which he later proved. Registered in 2016, Arena achieved the same results in terms of technological solutions as the two key rival foreign startups, but in a much shorter time. A beta version of the platform announced at the Moscow technology exhibition Startup Village was developed in four months. It was there that Ryzhonkov, with a small team that had survived the first stage, met his first business angel, Alexei Mekhonoshin, former Vice President of Sberbank, who believed in the idea and the team and invested the first million rubles in Arena. The investment agreements were signed literally on a napkin immediately after the exhibition, Ryzhonkov recalls. Overall, Mekhonoshin invested about $450,000 in the project, while Ryzhonkov himself invested more than RUR3 mio ($44,580) from his personal funds at the start. The investments were spent on launching the first virtual reality mini park at Moscow’s VDNKh exhibition center on September 16, 2016. Ryzhonkov notes that he was personally present at the cash desk to identify clients’ needs. The opening of the small park with the area of only 40 square meters was a major event for the young venture due to a module park concept; it marked the beginning of the new era marked by launching a group of companies and creating the Arena Space brand. Throughout 2017, the company continued seeking new business models and tried many new things, such as opening its locations at shopping malls, movie theaters and various cities, and creating its own amusement rides and content. 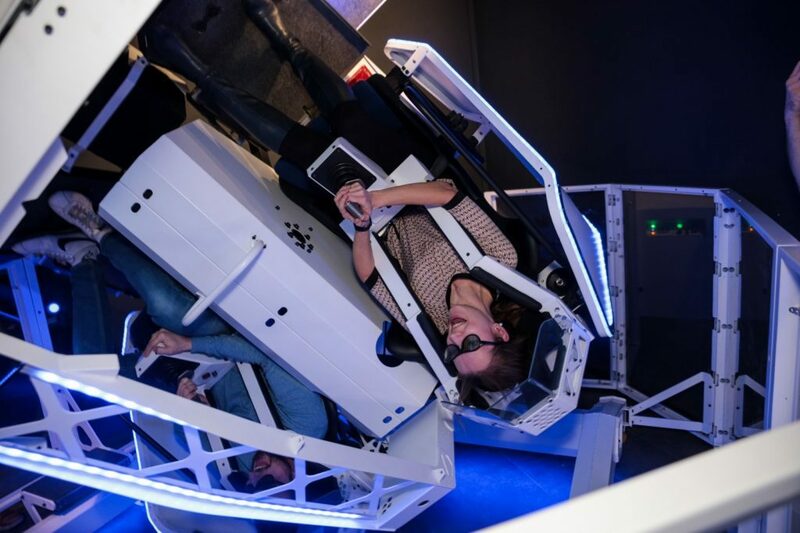 This year has been marked by the opening of Eastern Europe’s largest virtual reality park. In early November, a park with the area of 620 square meters was opened at Central Children’s Store on Lubyanka. The site incorporates amusement rides and augmented reality zones, as well as the largest full immersion zone for 12 persons. Ahead of the New Year celebrations, the park will host the finals of the all-Russian VR tournament, with the main prize of $10,000. The implementation of business plans and promotional efforts are facilitated by investments worth $7.7 mio from the processing company Rucard, with the deal structured by the investment fund IP Fund. The company is planning to create a comprehensive park network. “We want to become a major player in this market. Our goal is to open 250 parks within the next five years. To achieve this, we are planning to enter foreign markets and expand the franchise network”, the company founder says. In 2017, the company developed the first franchise package and launched its first franchise in Sochi. “We launched our franchise program only after we realized that the model would be effective as a small venue. Later we elaborated the model and the approach, and created standards for franchisees and the software that would allow managing the park’s infrastructure and administrators and keeping accounts. The package also includes our recommendations for choosing locations and important requirements for high financial efficiency. As a result, we offer a ready-to-operate business to franchisees”, Ryzhonkov says. Arena Space intends to use its experience in managing a large-scale park for entering the European and US markets. The company’s plans for this year include opening its own and franchise venues in these markets, while further plans include entering the Asian market. “I was building a company that is looking to grow internationally”, Ryzhonkov emphasizes. “It is important for a company to develop in the growing markets where products or services will be in demand. We have consciously chosen certain markets upon exploring them: these are Europe, the United States and Asia. We are beginning effort in Europe – in England, Great Britain, France, Germany, Spain, and Italy. Currently, we are holding talks with top shopping malls in London as well as with Spain”. To conquer the European market, a legal entity is now being set up in Amsterdam, with Knight Frank estate agency acting as a consultant for Arena Space. The Russian company assures that it will announce partnership agreements with European developers in early 2019. 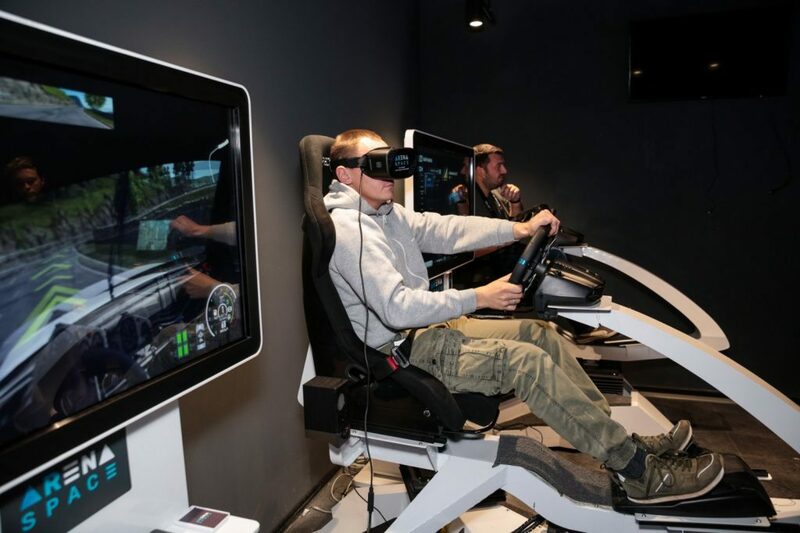 In November, Arena Space took part in the MAPIC 2018 major international retail property trade show, where the company founder told market players about the prospects of VR parks as an advanced entertainment format. The increased interest in virtual reality parks is understandable: outdoor entertainment and gaming rank first among top nine most prospective spheres where virtual and augmented reality will show the most growth. According to estimates by Greenlight Insights, a global leader in virtual and augmented reality market data, the VR park market will bring the profit of $1.2 bln in 2018 and will grow to $8 bln by 2022. According to analysts, the army of virtual reality gaming fans is expected to grow to 70 million people in 2020; in 2025, over 200 million gamers will opt for VR and AR technologies. “It should be noted that the recent research shows that today the VR park format is appealing to various audiences, not only to gaming geeks. Today, the target audience of such parks include groups of friends, families, and businesses”, Arena Space’s founder says. “In the morning, our park at the central Children’s Store on Lubyanka is visited by mothers with their kids; teenagers visit it in the afternoon and groups of adult people in the evening, and families come there on weekends. A VR park is a unique space where you can enjoy yourself and have good time alone, or with your family, friends, or colleagues”. Park-based VR games also provide new opportunities for teambuilding and an alternative to corporate parties held at restaurants. “We plan to develop this area and intend to open a large VR park in Moscow next year, which will be oriented towards business audience and designed for holding regular and business events”. “VR’s future lies not only in the entertainment sphere but also in business processes”, Alexei Zinchenko, general director and production director of the VR and AR development company Modum Lab, agrees. “Many major companies are successfully implementing VR technologies in training their employees and making presentations of projects. The technology is being introduced in Russia’s education sphere as well”. 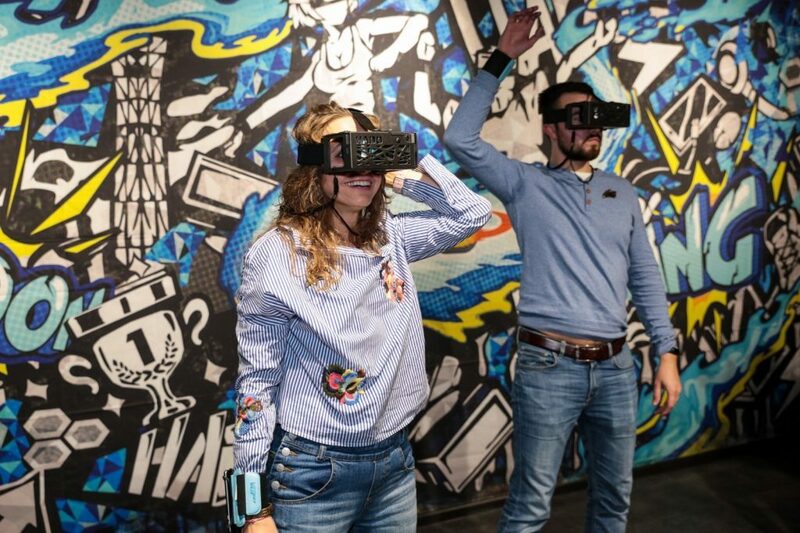 According to Zinchenko, many popular companies in Moscow have clients in abundance, while people in St. Petersburg are only starting to experience the benefits of virtual reality, both in gaming and at work. He notes that even a very talented developer cannot enter the VR market without large investments. “The VR market is currently at a stage when simply owing demo versions of projects or even actual cases is not enough. To get your business going and to develop and compete in the market, you have to possess something more. There is a discordance: new specialists and companies cannot compete with major players without developed business cases, while developing cases is an expensive and time-consuming process”, Zinchenko says.